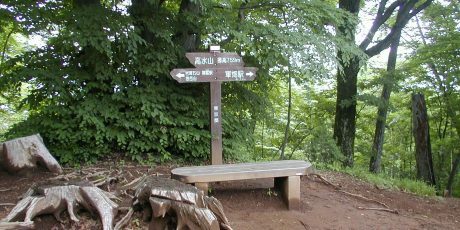 OAG members are invited to join a one-day excursion day trip to Mt. Oyama in Kanagawa Prefecture on Saturday Oct. 31. 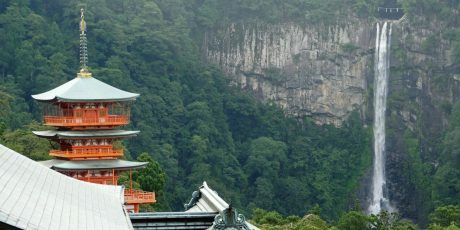 This day trip is planned and led by Japan Times columnist Alice Gordenker, who will guide us in English to the best places to enjoy the fascinating history and charm of this sacred mountain. 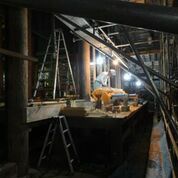 One highlight: special access into the construction site where craftsmen are restoring a temple founded more than 1,000 years ago. Afuri Shrine at Mt. Oyama, 1858. By Utagawa (Gountei) Sadahide. 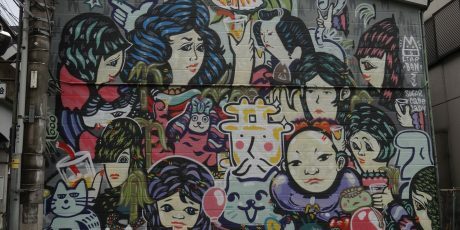 Image courtesy of Isehara city. Mt. 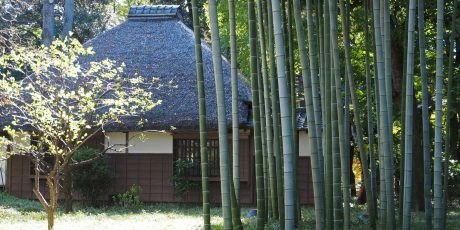 Oyama has been an object of worship since ancient times. During the Edo period, when common people first gained the means and freedom to travel, Oyama became a popular pilgrimage site, attracting 20,000 pilgrims in the space of a few weeks during the summer ‒ a tenth of Edo’s entire population. People would organize by neighborhood or occupation into groups and travel together on foot. Although ostensibly a spiritual journey, they had a lot of fun and drink along the way: Oyama was a center of Noh theater and comic rakugo performance. It’s fair to say that Oyama was Edo’s Disneyland! 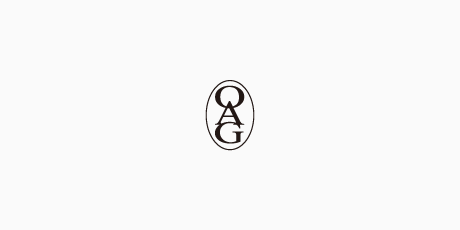 The group, limited to 20 people, will meet at Isehara station on the Odakyu Odawara Line at 8:10 am. (Train information below.) We’ll ride on Oyama’s brand-new cable cars to the Oyama Afuri Shrine, where we’ll take in the fabulous view over the Kanto plain and ocean. (The Michelin Guide justifiably gives this view two stars, because on a clean day you can see Enoshima and all the way to the Boso Peninsula.) The young priest of the shrine, 27th generation in a long line of Shinto spiritual leaders, will be our guide, telling us about the surprising and often colorful history of the Oyama pilgrimage. Be sure to bring a water bottle so you can fill up with the shrine’s auspicious fresh spring water. After, we’ll head back down the mountain to visit with one of the last craftsmen still making Oyama’s famous wooden koma (spinning tops). He’ll show us how he makes the tops and demonstrate his skilled hand at spinning them, too. 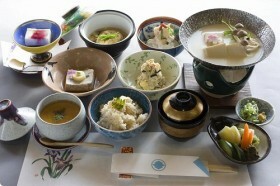 Oyama is also famous for tofu, so well have a fancy tofu lunch served at an old inn that once served only groups of pilgrims. 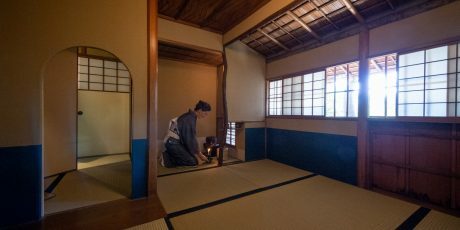 The owner will tell about the inn’s history, and perform for us the Shinto ceremony that protected generations of pilgrims when they left the inn for their climb up the mountain. 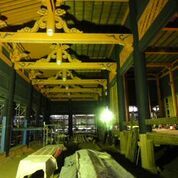 Afterward, we’ll go to Oyama’s unusual Noh theater, which is built over water, for a special back-stage and on-stage tour. We’ll get a brief demonstration and have a chance to try on a real Noh mask, too. 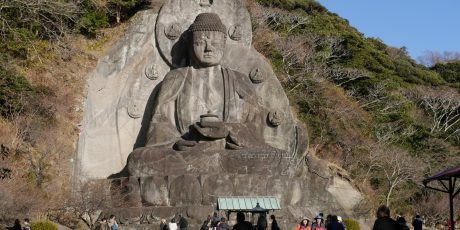 Finally, we’ll head up another side of the mountain to Hinata Yakushi, said to have been founded by the Buddhist priest Gyoki in 716. One of Japan’s three great Yakushi temples and an Important Cultural Property, the wooden main building is currently undergoing a 7-year renovation. We have been granted special access into the actual con-struction site, where we will learn about the restoration process and traditional building techniques. 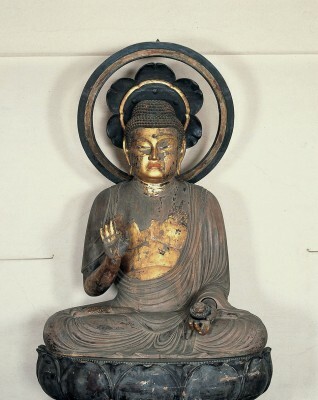 We will also have a chance to see, up-close and in good light, the temple’s 25 Buddhist images, including the main images of Yakushi Nyorai and its guardians Nikko and Gakko. This is an opportunity not to be missed. 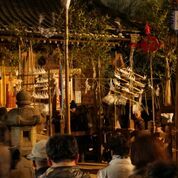 Fee for this excursion is 8,000 yen, which includes lunch, a donation to the shrine, Noh demonstration and entrance fee to view the Buddhist images. 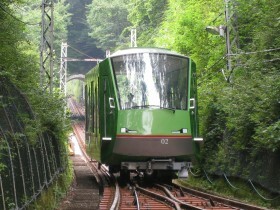 Please pay your own train fare to and from Isehara, the tour starting and end point. For detailed information, and links to register and pay, please go to alicegordenker.wordpress.com or contact Ms. Gordenker at . Train information: From Shinjuku station, there is an express train on the Odakyu Odawara line departing at 7:11 am, arriving Isehara at 8:10 am. (59 mins, 590 yen). This train can also be boarded at Yoyogi Uehara at 7:16 (54 mins, 540 yen). From Yokohama, there is an express on the Sotetsu Line dep. 7:21 bound for Ebina station; arrive at Ebina at 7:54 and change to the Odakyu Odawara line, dep. 8:00 arriving Isehara at 8:10. (49 mins, 530 yen). The group will return to Isehara station at the end of the tour, at approximately 5:00 pm.